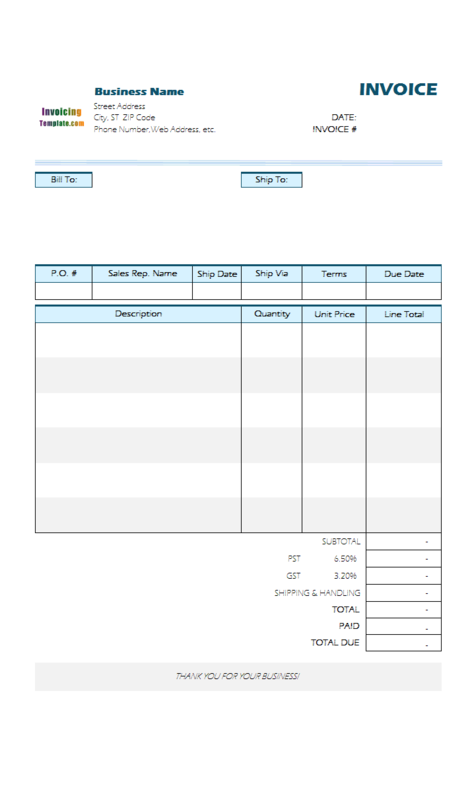 How to make invoice template in Excel? 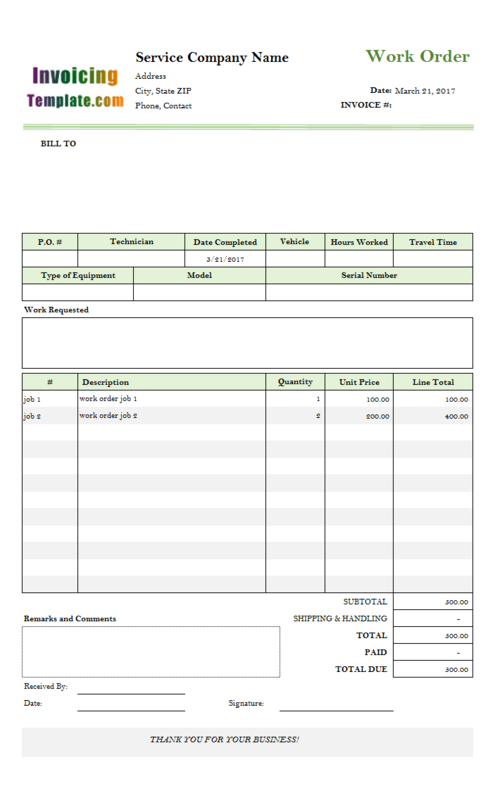 Creating an invoice template is easy than you might think. 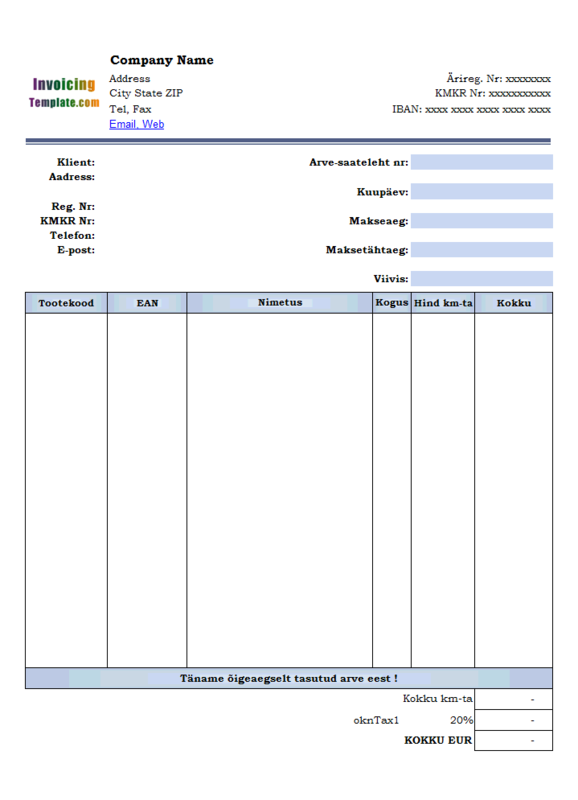 Download any template here on InvoicingTemplate.com. As of now (2017), our templates are free for personal / internal usage. 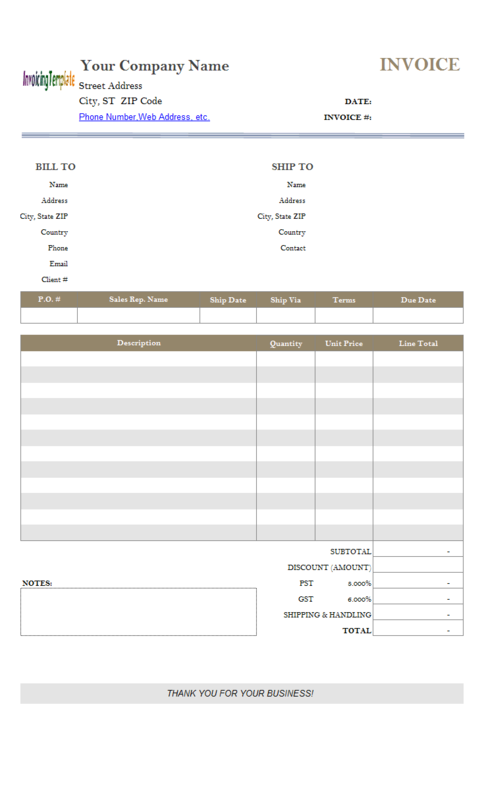 No credit card or registration is required in order to download and use our templates. Enter your own company / business information. That it! 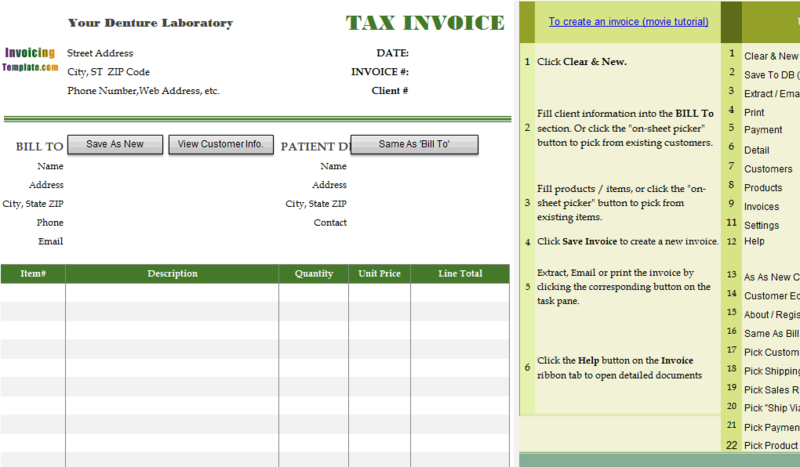 Now you can start creating invoices. For further customizing, read our document about customizations. 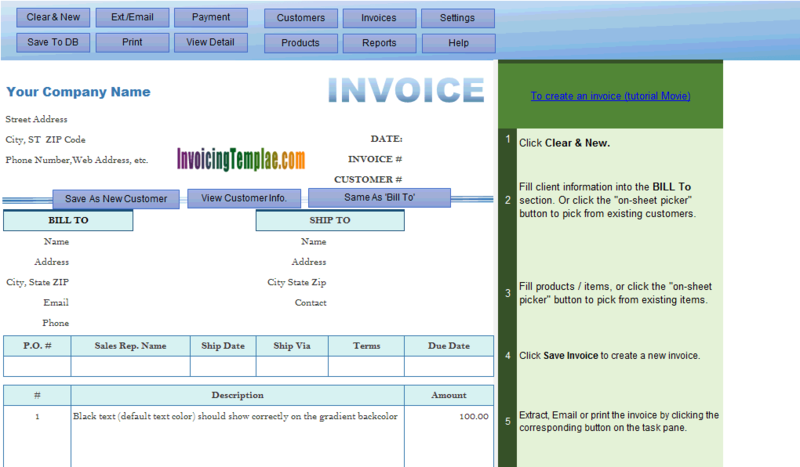 Here are our templates closely related to Create Invoice Template. 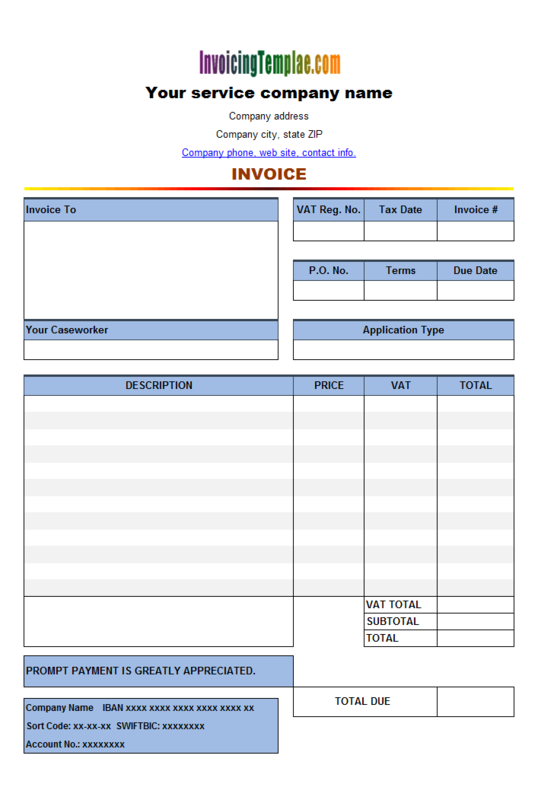 In Australia tax invoices are usually issued by the supplier or seller. However Australian Taxation Office also allows the purchaser or recipient of the goods or services to issue tax invoice for the purchases, knowns as recipient-created tax invoices (RCTI). 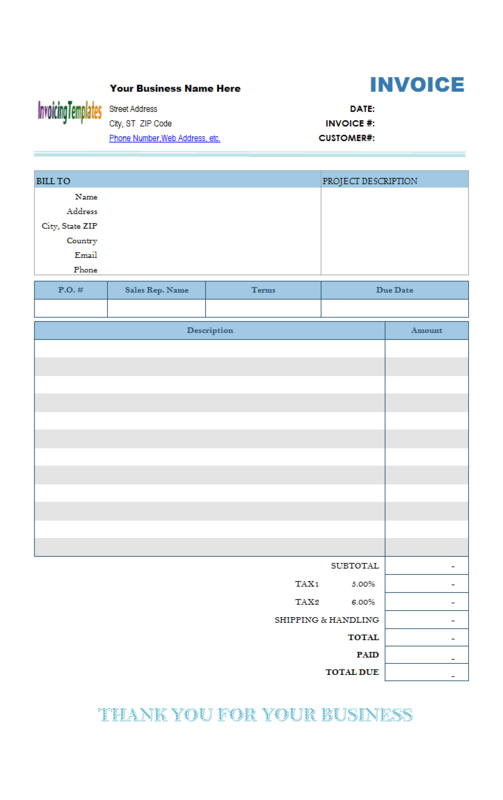 The original proforma invoice template is provided in Excel 2000 ".xls" format, which works fine in Excel 2007 and later versions, but will shows the words "Compatibility Mode" on the Excel title bar if you open it in Excel 2007 and later versions. For the purpose of testing, we will work with Excel 2010 and ".xlsx" format in this document. A caution must be made, however - usually you can easily convert ".xls" format to the new ".xlsx" format by executing the "save as" command in Excel, the conversion from ".xlsx" format back to ".xls" format usually causes warnings and errors. First, make sure you have made a backup of your current database file, so that in case something goes wrong during the following steps you are able to return to the original state easily. 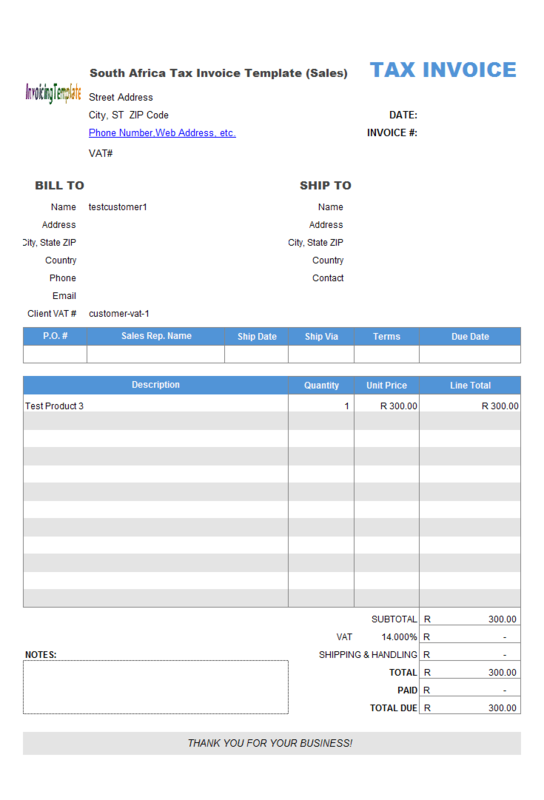 In this sample, we'll be using c4020 Invoice Template with Long Product Description with which we show you how to customize the invoice template so that it allows you to enter more text into the description fields of the standard invoice format shipped with UIS. 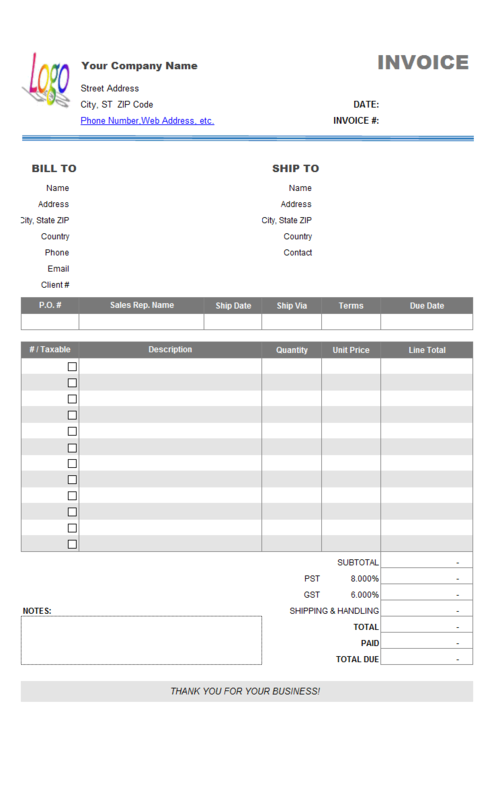 The template includes several custom fields on invoice heading part that are not found in the standard invoice template, including "Your Reference#", "Desk", "Our File Ref#", "Your File Ref#", "Currency". 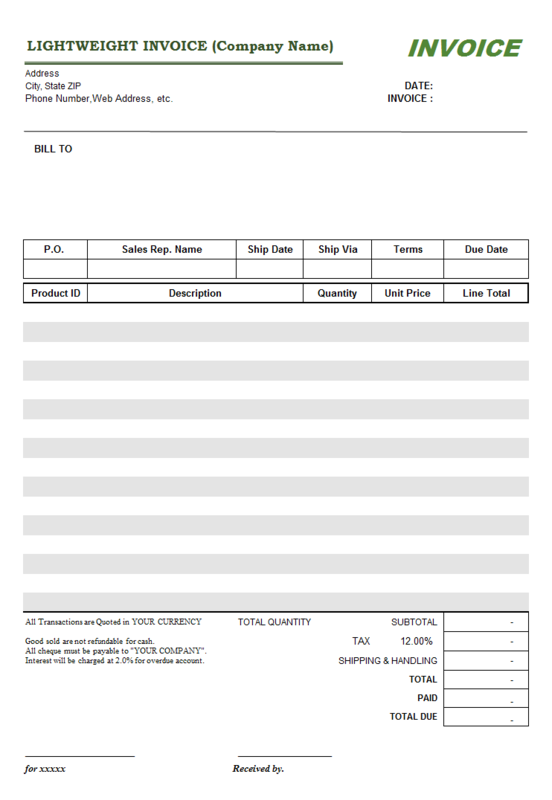 This is the 2nd sample on how to create a new design for pro forma invoice template, focused on entering company information and replacing InvoicingTemplates logo image. 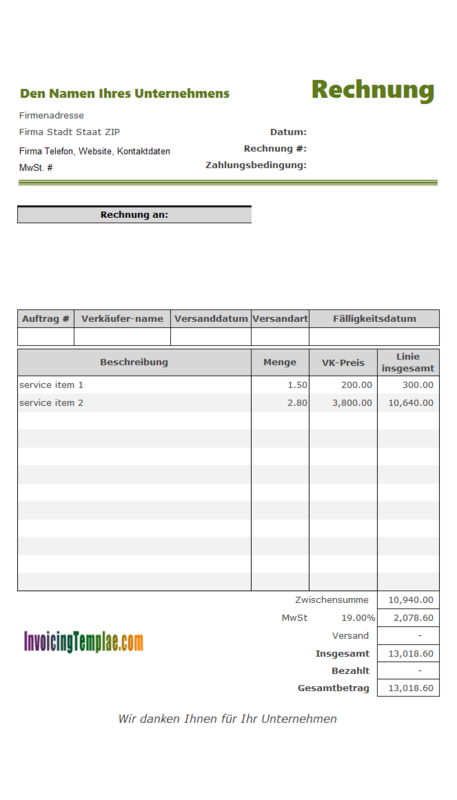 Sometimes it is useful on a service invoice template to have a "Service Sumarry" field. We'll add this as a custom field. 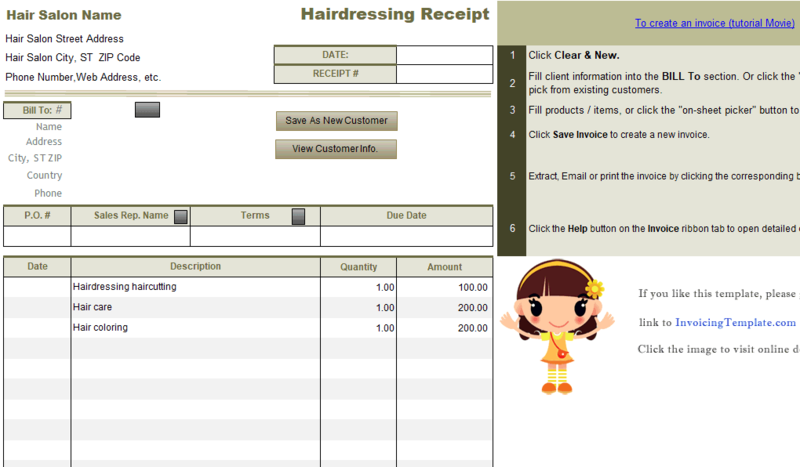 Designed for hair stylist, beauty salon, hair salon, beauty parlor, nail salon, barber, cosmetologist and related freelancers, this hairdressing receipt template helps you create professional and beautiful receipts and bills. 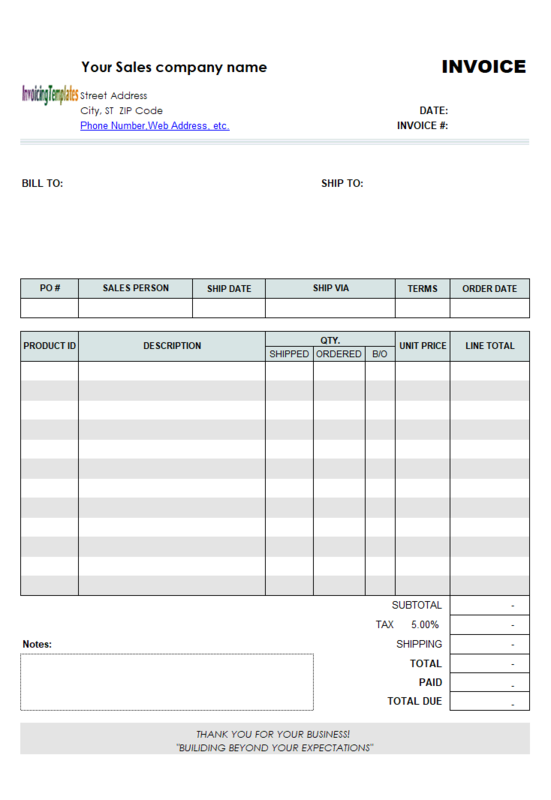 When an order for inventory items is partially fulfilled, the portion of the order that has not yet been fulfilled is called a backorder. 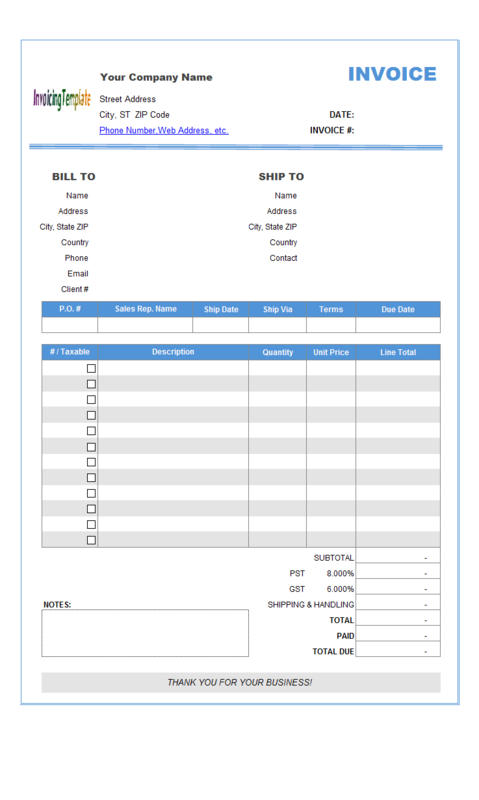 Backorder Invoice Template includes additional columns for you to detail Quantity Ordered, Quantity Shipped and Quantity Backordered. Once the template is in design mode, right-click the cell. Choose "Format Cells" from the shortcut menu. On the "Number" tab, choose "Date" from the "Category" list. Choose the proper date format from the "Type" list. 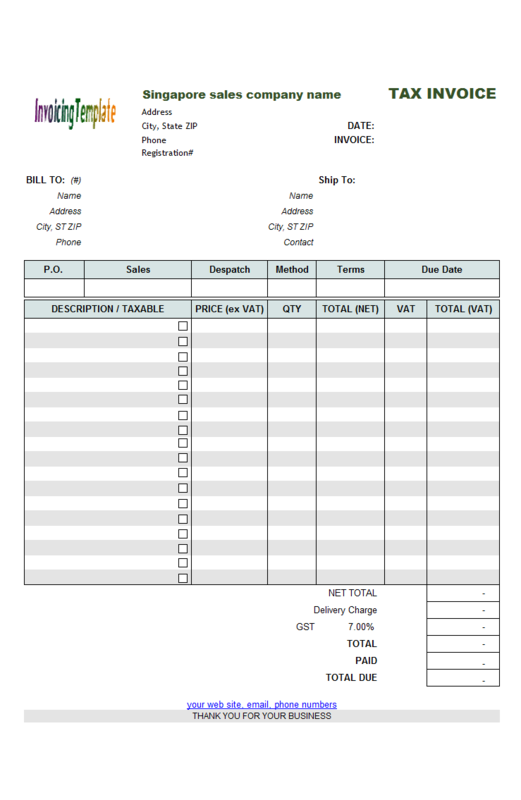 The next step is to name the cells on the invoice form to let Invoice Manager for Excel (namely Uniform Invoice Software) know where to read/write the custom fields added to database. 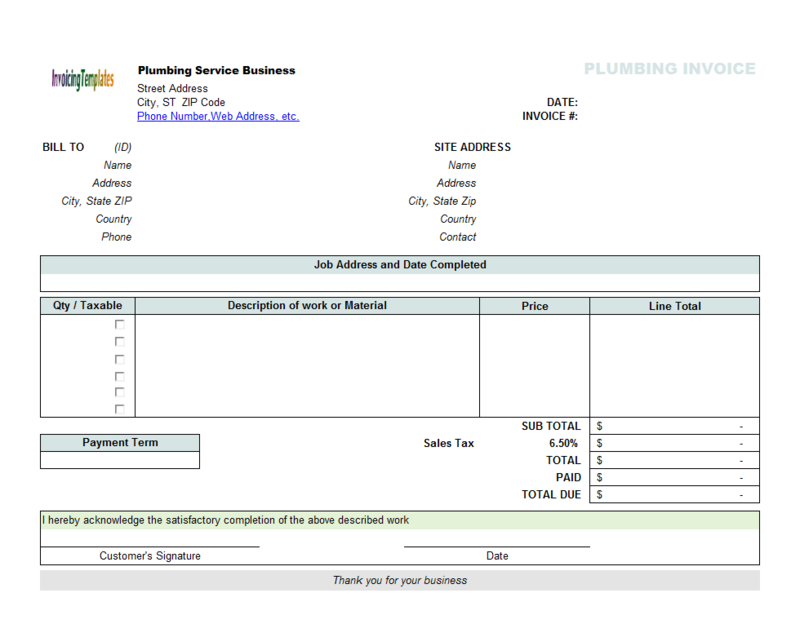 The default invoice format shipped with Invoice Manager for Excel (namely Uniform Invoice Software) installer program uses the default font of Excel. 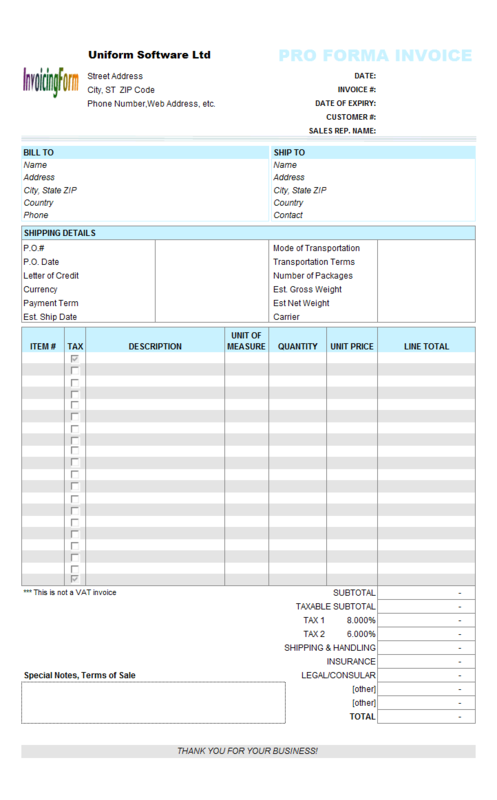 To make your business documents differ from others you can simply change the font face. 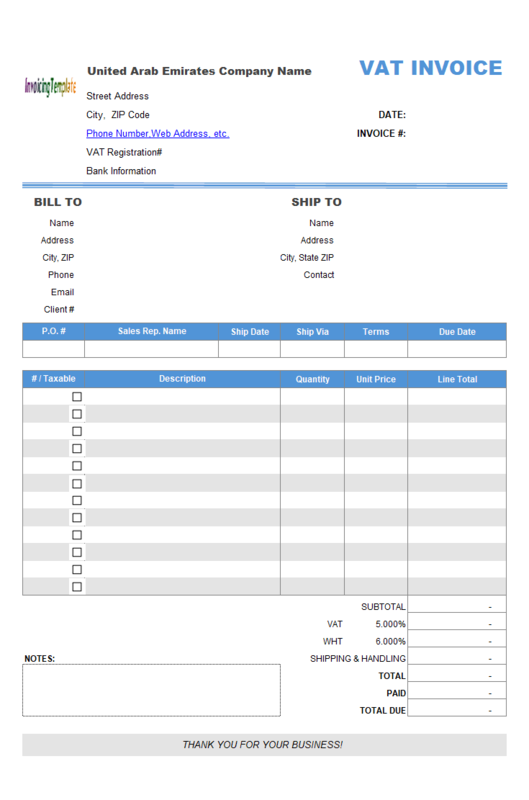 This VAT invoice template has a similar layout as c6008 VAT Sales Invoice Template - Price Excluding Tax - you can also find a service invoice template here on InvoicingTemplate.com, at c6014 VAT Service Invoice Template - Price Excluding Tax. 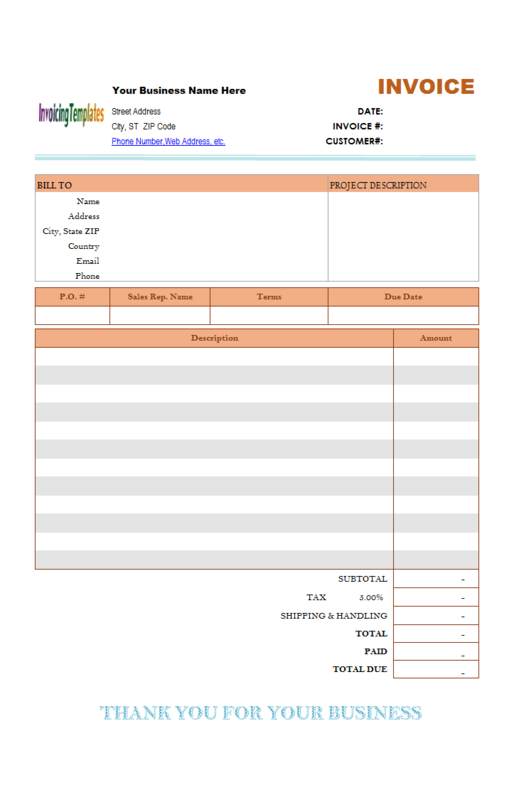 The format has customized as per the requirements detailed on Irish Revenue. 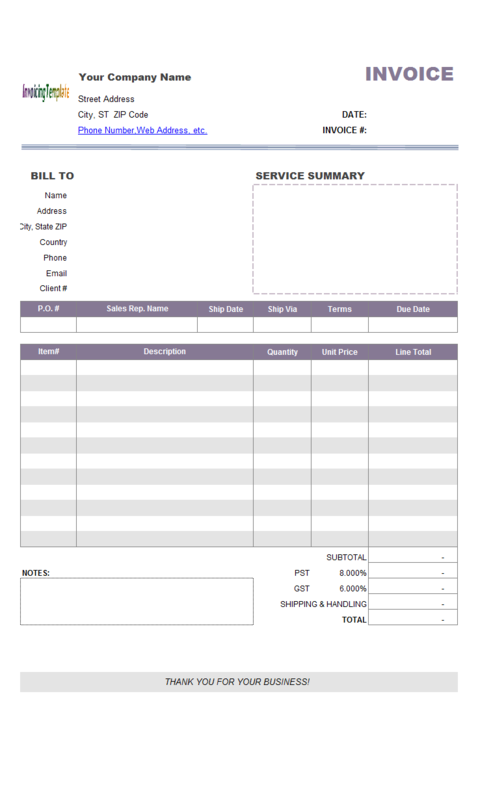 If you've never produced an invoice before you might be wondering how to go about this and what needs to be on the invoice in order for it to be accepted by your customer and their accounts department. If you're registered for VAT and are therefore charging VAT on your invoices it is especially important that your invoices are properly drawn up and that you keep copies so that you don't incur any penalties from Irish Revenue. 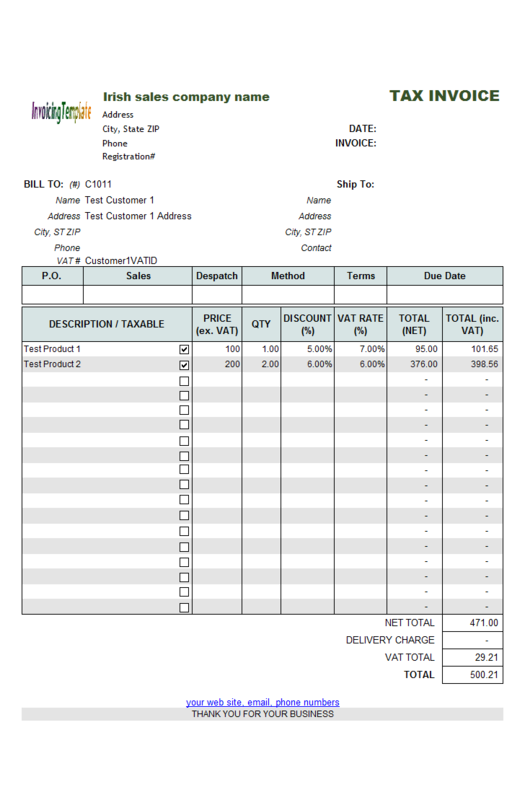 Note that on the invoicing templates we're publishing here on InvoicingTemplate.com, the term "price" is the money the client / customer pay you for each unit of product / service they purchase; on the other hand, we use the term "cost" for the money you pay to your vendor. In case of selling of goods / materials, "price - cost" results in the gross profit of each unit you sell out. 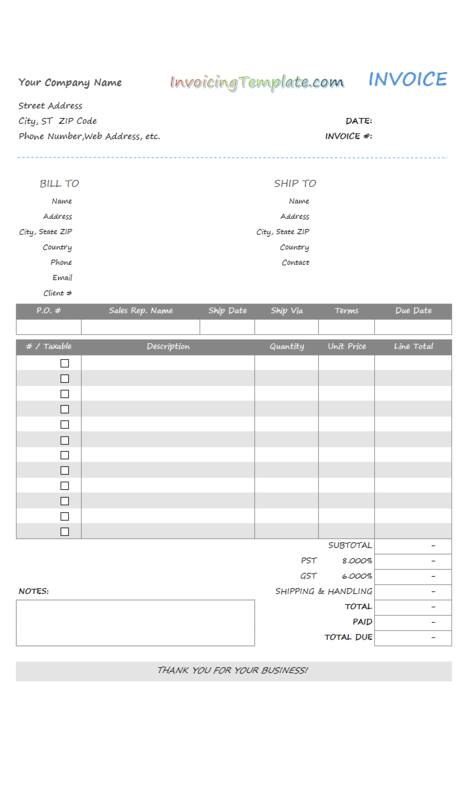 On most of our invoicing formats, you see only the "Price" or "Unit Price" column, because the "Cost" fields are put into a hidden column. 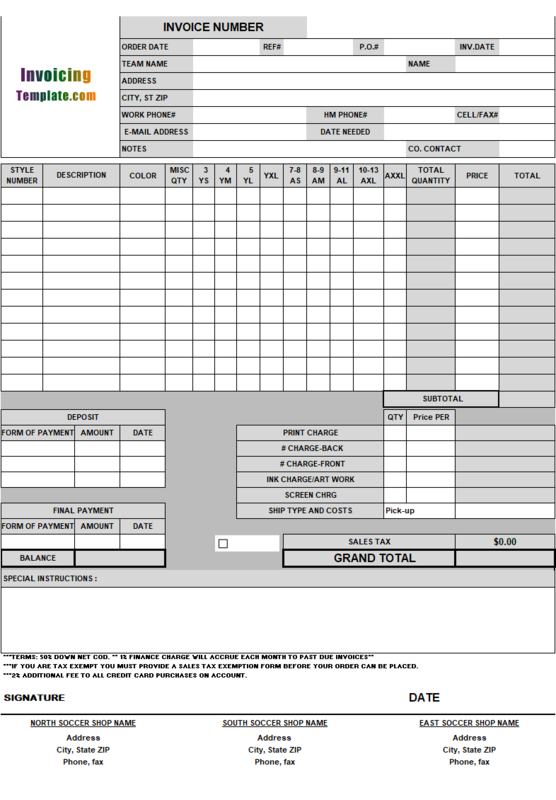 This free billing / invoicing and order form template is designed for bakeries and cake shops. It features a "Requirements" box to enter special notes about the order, and a beautiful Valentine cake image as the form background. 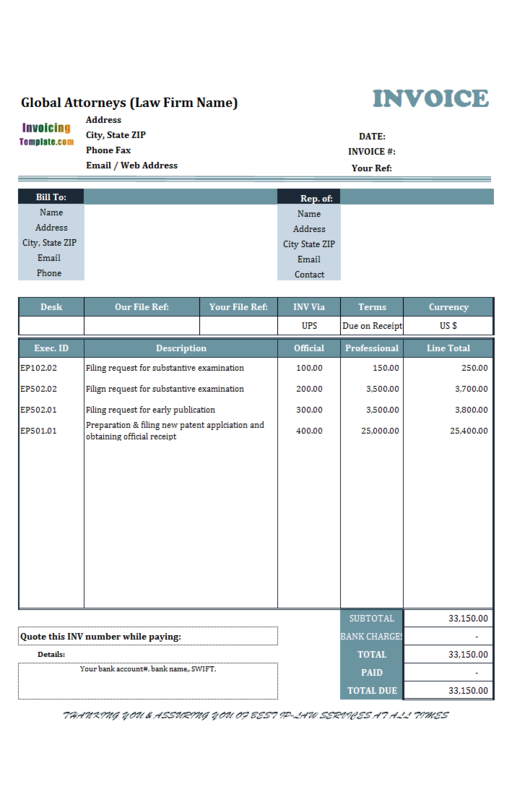 This updated version published on InvoicingTemplate.com we're offering only one format - i.e. the UIS edition. By using this template, you can create invoices for your soccer shop without installing Invoice Manager for Excel (namely Uniform Invoice Software). 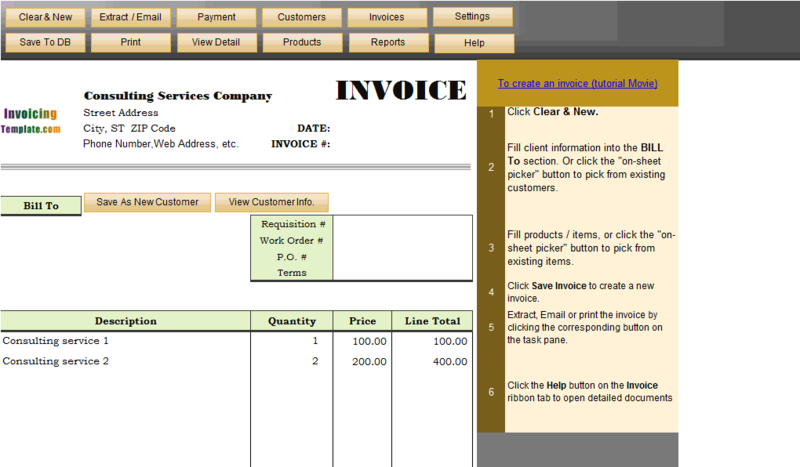 In this case, it is able to do formatting (providing the layout of your invoices and bills), calculations etc. However without UIS, all the buttons on the worksheet will not work. Also known as Value Added Tax (VAT) in many other countries, Goods and Services Tax (GST) is a consumption tax that is levied on the supply of goods and services in Singapore and the import of goods into Singapore. GST is an indirect tax, expressed as a percentage (currently 7%) applied to the selling price of goods and services provided by GST registered business entities in Singapore. As a GST registered entity, you are required to submit a return to the tax authorities based on your accounting cycle, normally on a quarterly basis. 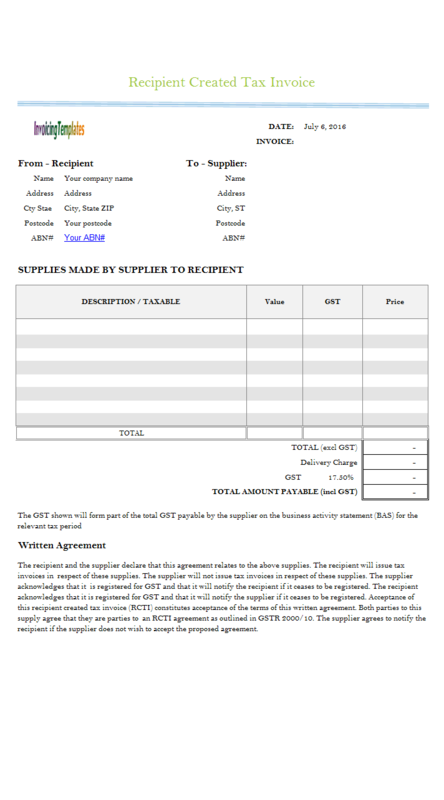 GST registration is required only if the company falls under the following: 1) The turnover is more than S$1 million for the past 12 months – known as the retrospective basis –OR- 2) There is a reason to expect that the turnover will exceed S$1 million for the next 12 months – known as the prospective basis. If you install Invoice Manager for Excel (namely Uniform Invoice Software), this process is much easier as our Excel-based invoicing program stores a counter in the backend Access database (or SQL-Server database if you choose the highest edition). 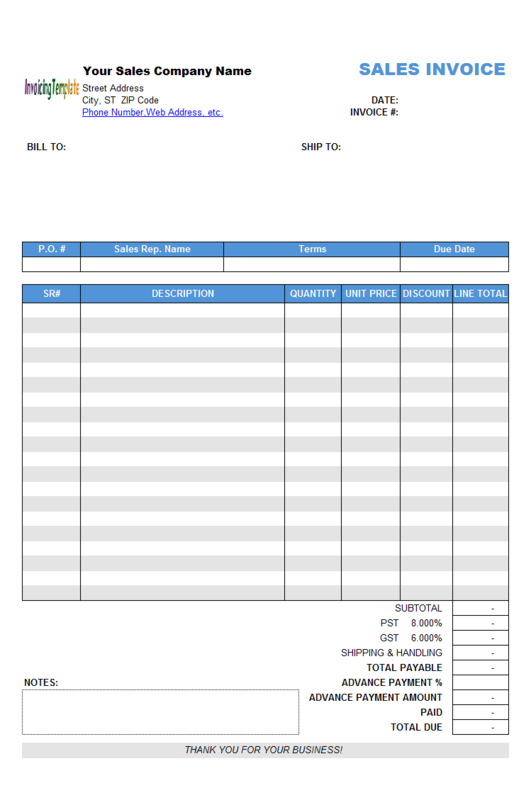 When you create invoice by clicking the "Save To DB" on the "Invoice" Excel worksheet, or click the "Save Invoice" command on the taskpane, a new invoice# / bill# is generated automatically if that cell is left blank. 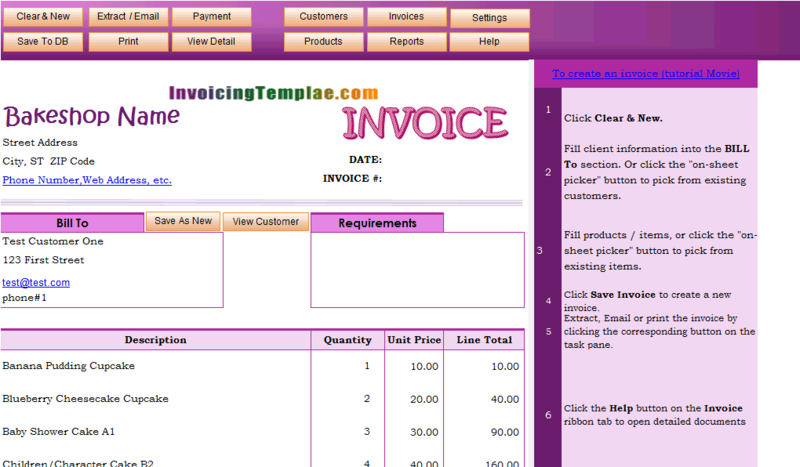 See invoicing template with auto-numbering for more samples on this topic.